We use Google Maps and mapping data to bring you detailed information and viewing options of New Zealand, right down to the smallest areas and locations. Detailed downloadable map of New Zealand, including all major cities, destinations and popular tourist spots. This map is free to download, print and use. 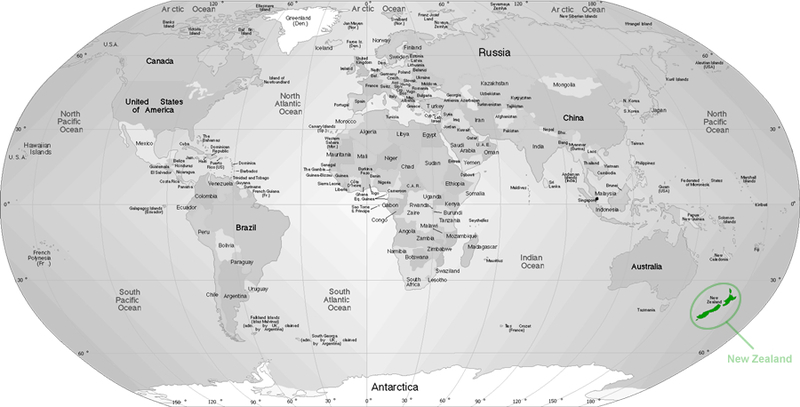 Detailed downloadable world image map with location marker of where New Zealand is located. This map is free to download, print or use on your own website.